Ambrosia Firestorm has been presenting Boomtown News each year since chapter 7. Boomtown Source would like to take some time to recap on what we might have learnt, and speculate about what it may mean. The most surprising announcement was that we would be getting 8 new stages this year. Boomtown has always kept it fresh, so it’s good to know that “the radical city” isn’t standing still. New stages are good! Nothing beats the experience of dancing in front of a mind blowing Boomtown mega-structure for the first time. While we do love the well known big stages from the past 2 to 3 years… it’s time for an update. That’s what Boomtown has always been about. It doesn’t stay the same for long. The Nucleus stage is an enormous new immersive theatrical dance stage. It’s set to become one of the main dance arenas at the festival. The Nucleus will be bringing us all the biggest names in techno and house, already announced in the big area 404 announcement last year. 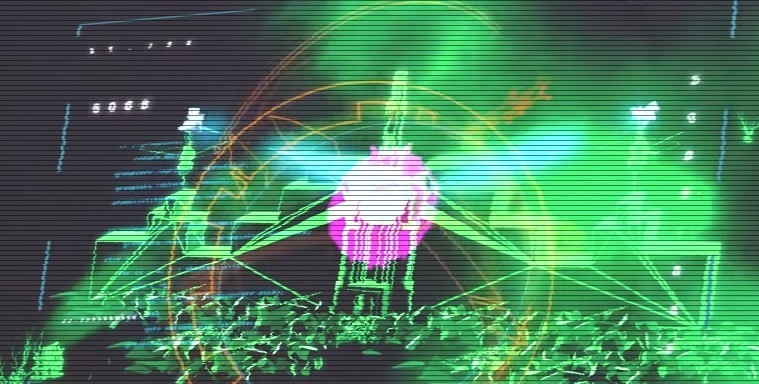 From the Area 404 announcement video, the Nucleus stage perhaps? The new acid techno stage going into Area 404. The crew previously responsible for the Rave Yard will be running the show here. Likely to be a mid-sized venue. A new stage in Area 404, specialising in disco and house. Not much is known so far. It’s likely to be more of a micro-venue. 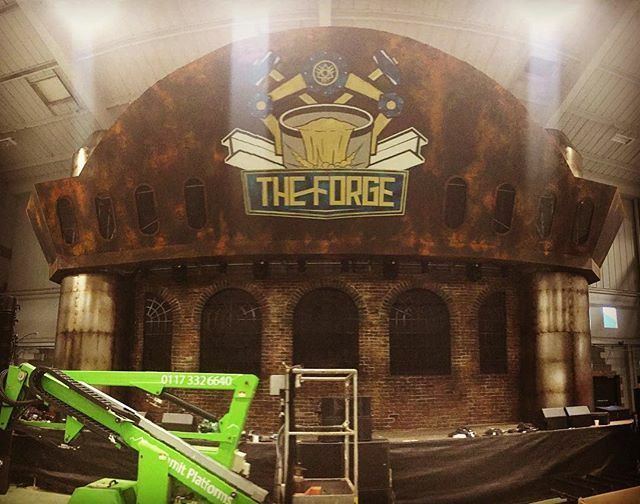 What is The Forge I hear you all cry? Why it’s the new stage which is replacing The Old Mines in Copper County! 4 more mystery stages… and what’s happening to Sector 6/Bang Hai? So that leaves 4 new stages still wrapped in mystery. We know for a fact that The Nucleus is the replacement for a major dance stage. Boomtown Source believes that it’s Sector 6 being replaced by Area 404. 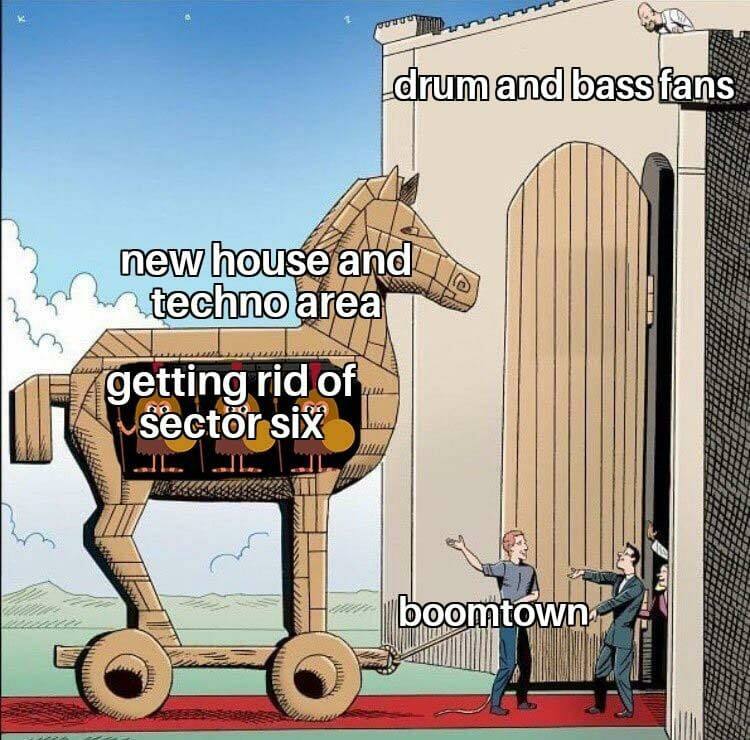 Rumours and memes have been prevalent suggesting that it’s Sector 6 getting the chop. But some are also saying Bang Hai Towers is gone. Boomtown Source has a theory as to why the rumours won’t go away about both of these stages. Perhaps… BOTH are being replaced. Bang Hai Towers has existed in it’s current form for 2 years, and Sector 6 for 3 years. In Boomtown terms… that’s quite a long time. The original Bang-Hai Palace only lasted for 2 years. Arcadia stayed for 3 years. Town Centre and Lions Den have undergone several upgrades and changes over the 10 years. “there are currently two new sound designs being implemented for the two biggest dance stages” according to the Boomtown annoucement. Why don’t they mention either of those stages by name? Suspect. A major rebuild of the two stages is likely required to help contain the sound better. There have been persistent rumours and whispers from crew who claim they have been moved from working on Sector 6/Bang-Hai to new projects. A radical city. It has been said that chapter 11 is the start of a brand new story. Both Sector 6 and Bang-Hai Towers are heavily wrapped into the old story lines, and might not be relevant anymore. We also learnt about the new sound enhancement measures at the two major dance stages (whatever they are now called). Boomtown Source first reported an announcement like this was coming 2 weeks ago on Facebook. The volume being too quiet at Bang Hai and Sector 6 has been a frequent complaint for the past couple of years. It’s a thorn in Boomtown’s side. They have some of the best kit around, which is literally able to make your ears bleed. They would love to use it. But the law is not on their side, and they have to keep it down late at night, or risk the event being shutdown. The festival hasn’t been given any leeway with it’s legal sound restrictions, so this louder bass can only be delivered by better sound management. It’s a big promise to make, and some are sceptical, so it’s going to be fascinating to see how they achieve it. There seem to be three possible ways to ensure sound can be played louder, without breaking the restrictions. Apologies in advance for my amatuer understanding of acoustic science. The Scrapyard and Robitica already use shipping containers to help contain the sound from leaking into the surrounding countryside. The larger stages could also use similar measures. This may allow the new stages to become 360 degree immersive experiences. It would be a huge build, but Boomtown have repeatedly upped the scale of production over the years. It is possible to cleverly direct sound at reflective walls and hills to send any leakage mostly skywards. The location of Bang Hai has already been moved once before, to try and take advantage of the hills to reflect sound away from residential areas. 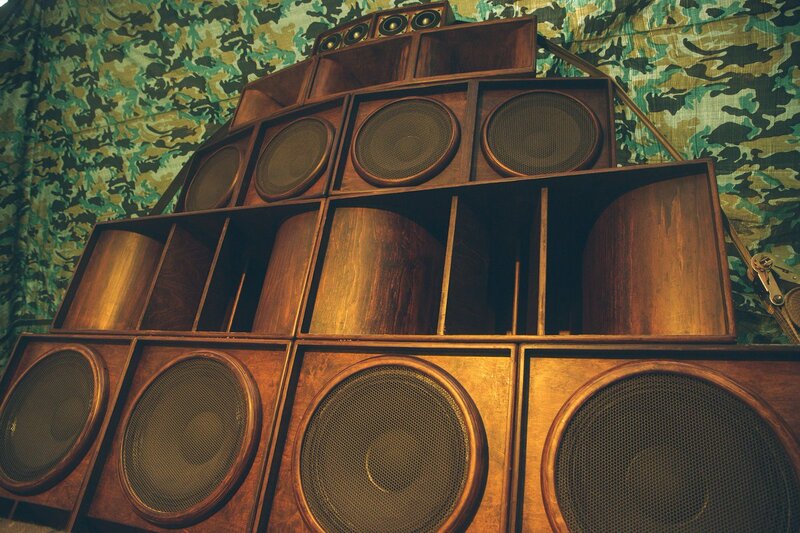 To allow every raver to get closer to a stack, more speakers could be placed. This could mean that without increasing the overall volume, those further back could still get a louder experience. Better sound containment and direction, means that more speakers doesn’t have to mean more leakage. We were also introduced to what we would assume are some of the new characters who might be important in the new story line for A Radical City. A.M.I will remain a relevant and important force in the story, and apparently now runs the whole of Boomtown. 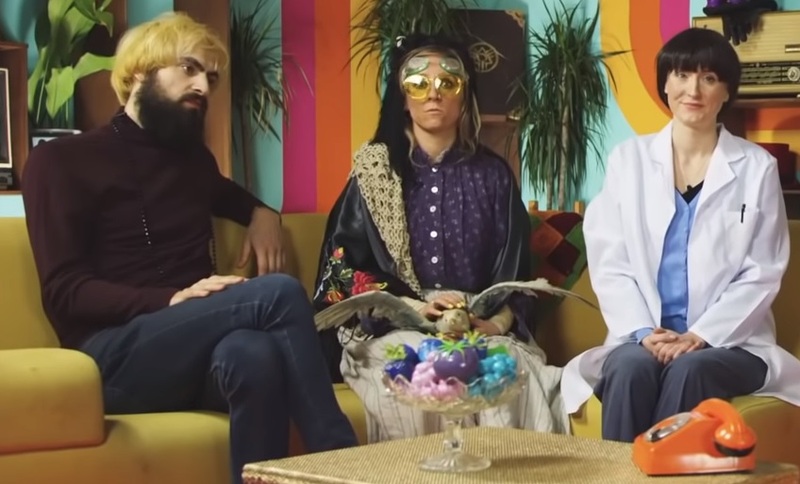 We will probably find out more about this bunch, as more BTN videos are released in the run up to the festival. It seems like fun that we have a character who represents volume issues, and another who represents environmental issues. A.M.I. is implementing a city wide environmental policy. The video focused heavily on environmental issues, and on the issue of the number of tents left behind. The number of tents left behind at Boomtown every year is nothing short of an environmental disaster. Why not buy a decent tent you can use time and time again? The festival would have much more money to book big names, if they didn’t spend so much on the cleanup! Do your bit and take your tent home. It will save you money when you come back next year if you use it again. Source looks forward to hearing more about how Boomtown are going to tackle environmental issues at this years fair. The idea of integrating the fairs story lines with it’s environmental objectives is a brilliant bit of meta storytelling. The line up will be released on Friday the 8th of February. Further line up announcements will be made twice a week following that. Boomtown Source has all the leaks and rumours so far. We might learn more about all the new stages then. Or we might not. Boomtown is famously coy about it’s new stages and sets, until usually just a few days before the actual festival.